Want to give a gift that will make a lasting impression? 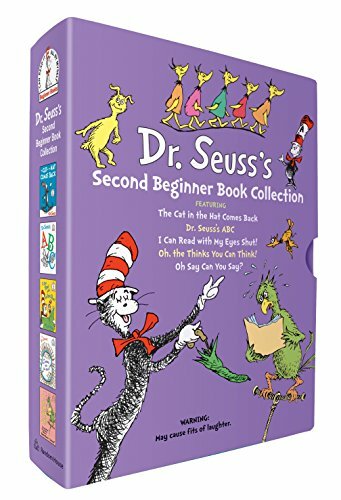 This boxed set of of five beloved Beginner Books by Dr. Seuss—The Cat in the Hat Comes Back, Dr. Seuss's ABC, Oh Say Can You Say?, Oh the Thinks You Can Think!, and I Can Read with My Eyes Shut!—is perfect for new parents, birthday celebrations, and happy occasions of all kinds. Ideal for reading aloud or reading alone, it will be cherished by young and old alike. Begin a child on the adventure of a lifetime—with Beginner Books by Dr. Seuss! If you have any questions about this product by Fun To Collect, contact us by completing and submitting the form below. If you are looking for a specif part number, please include it with your message.